Welcome to this week's Thursday Tips and Tricks, where I share different design ideas and today I'm focussing on wallpaper! For this post, I've also teamed up with Milton & King for a giveaway where one of you will win a roll of their wallpaper or a wall mural of your choice, so head over to my Instagram for more details on how to win. 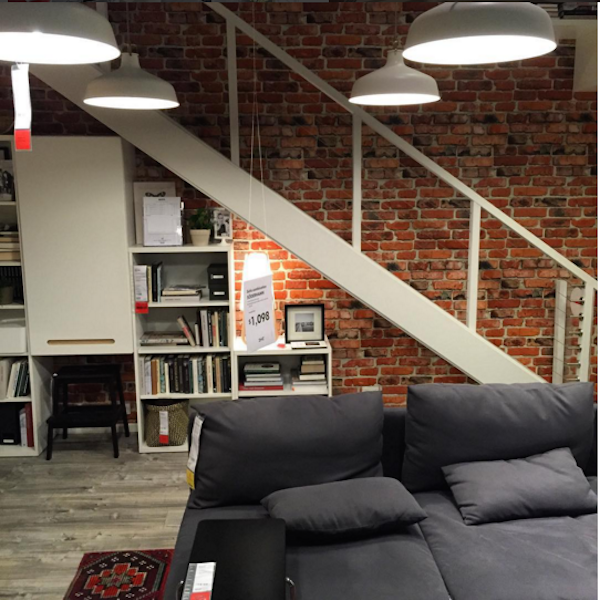 Wallpaper can be very intimidating task to shop for, commit to and hang. But when the right wallpaper is chosen for a space it can have a HUGE impact, and really makes a room. I currently don't have any wallpaper in our home, but I'm loving the trend of using wallpaper for feature walls as well as in small spaces. 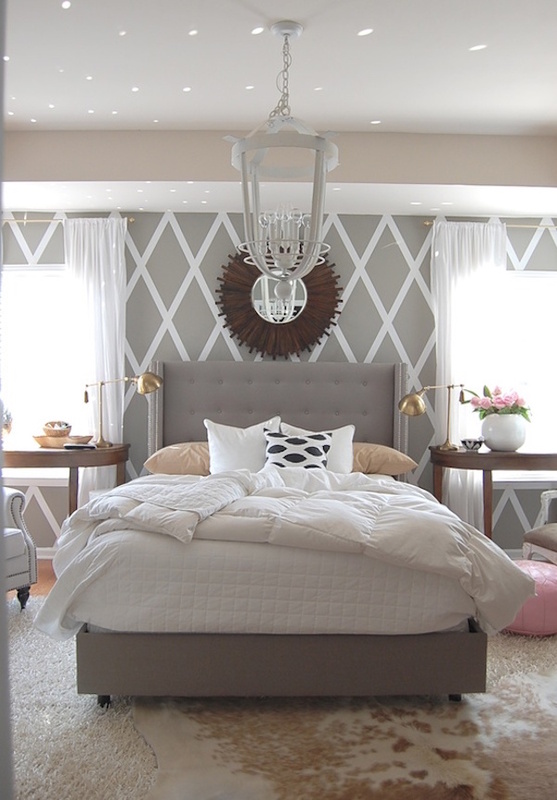 Come check out some of my favorite wallpaper ideas and see how to implement it in your own home. 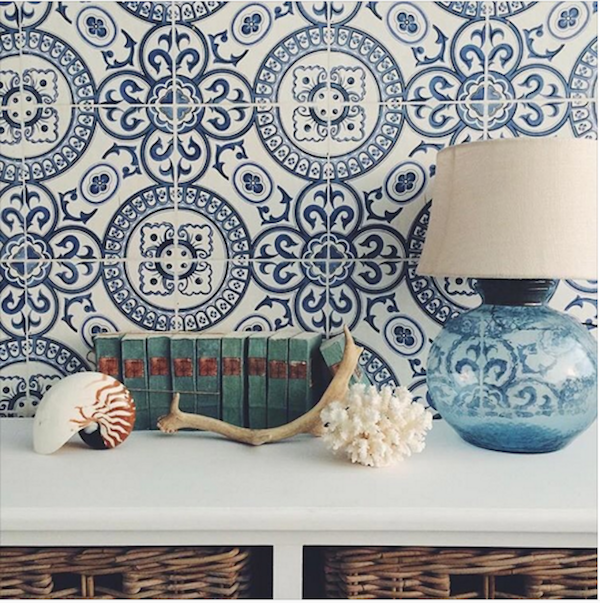 Can you believe that this is wallpaper, and not tile!? 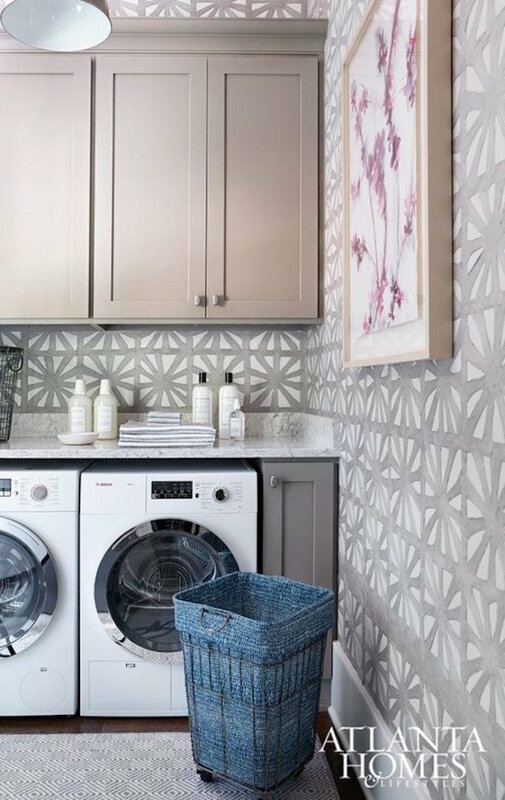 Tile can be really expensive, so wallpaper can give you the custom and ornate look you want but at a more affordable price tag. Adding wallpaper to the back of a bookshelf gives added interest to a rather bland space. 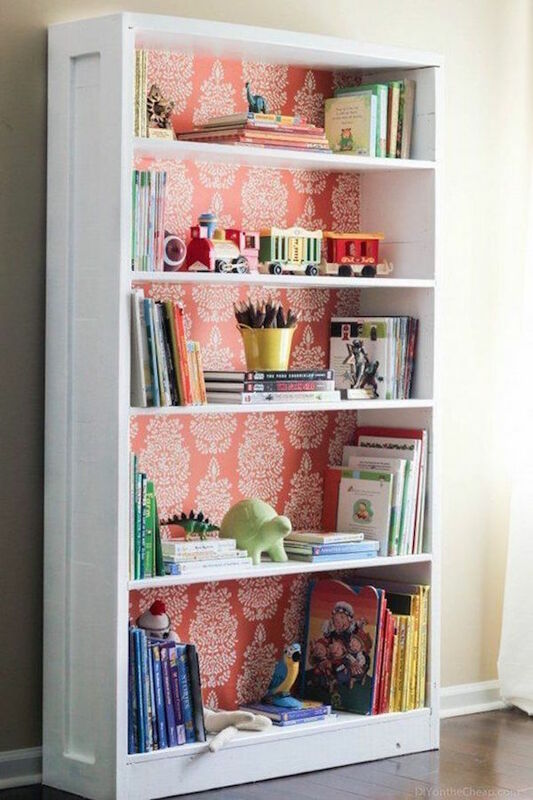 It also allows you to add wallpaper in a space without having to wallpaper a wall. This bedroom from The Space Between Blog, is a beautiful example of using wallpaper as a main feature wall in a bedroom. 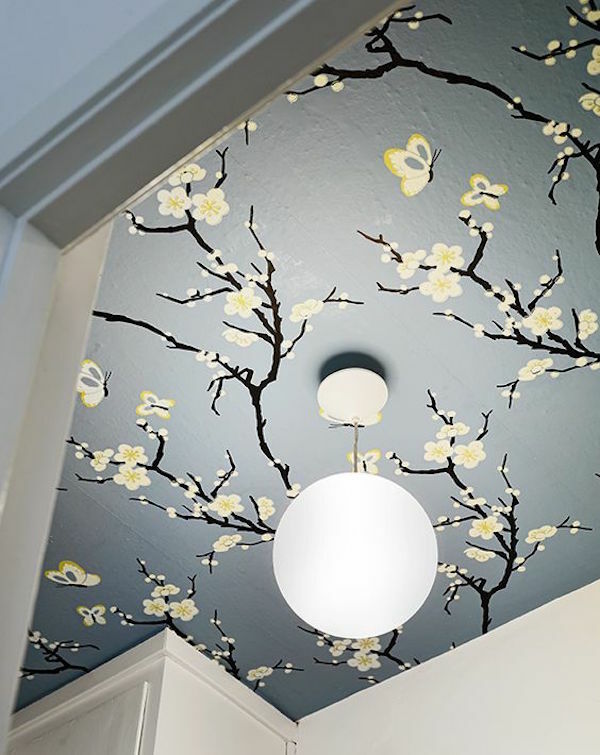 Love this idea of using wallpaper to add an unexpected interest to the ceiling. Since the wallpaper is bold, sticking to neutrals for the rest of the room helps to make the ceiling pop and it keep things from looking too busy. 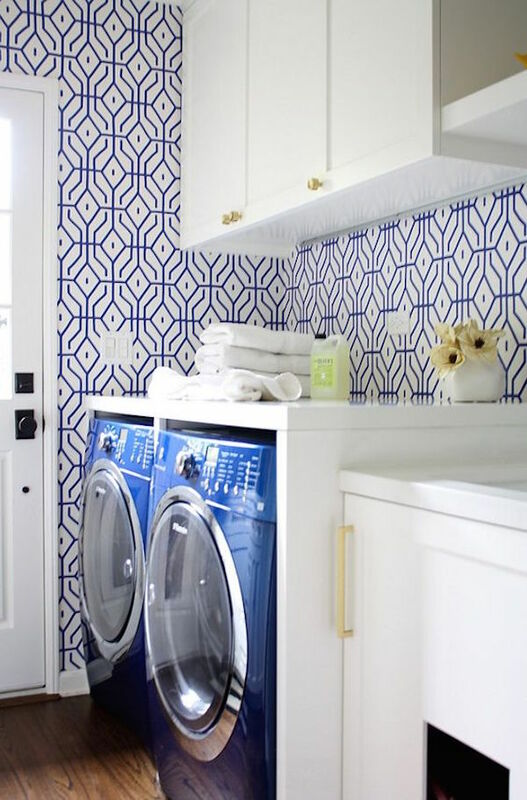 If you ware going to wallpaper an entire room in a bold pattern, stick to using it in a small space such as a laundry room or bathroom. Another great example of a bold wallpaper in a small space, and love how the wall paper coordinates with the blue appliances and white cabinets. 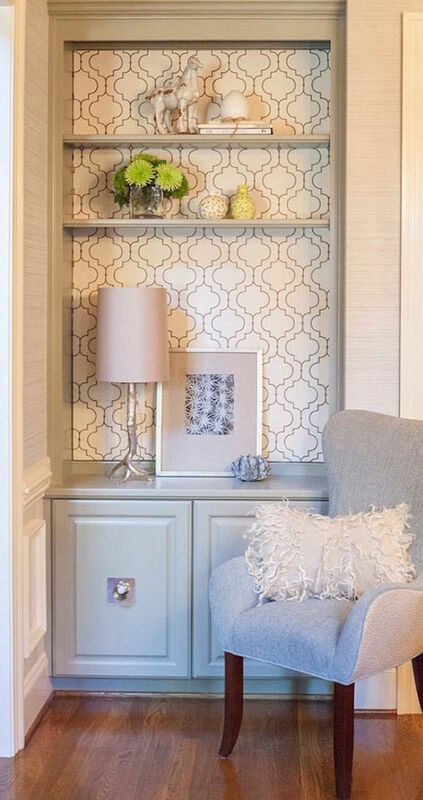 This wallpaper is rather busy, so by adding that half wall wainscoting, it makes the white appliances blend into the half wall and really makes the wallpaper stand out. What a beautiful statement, right!! 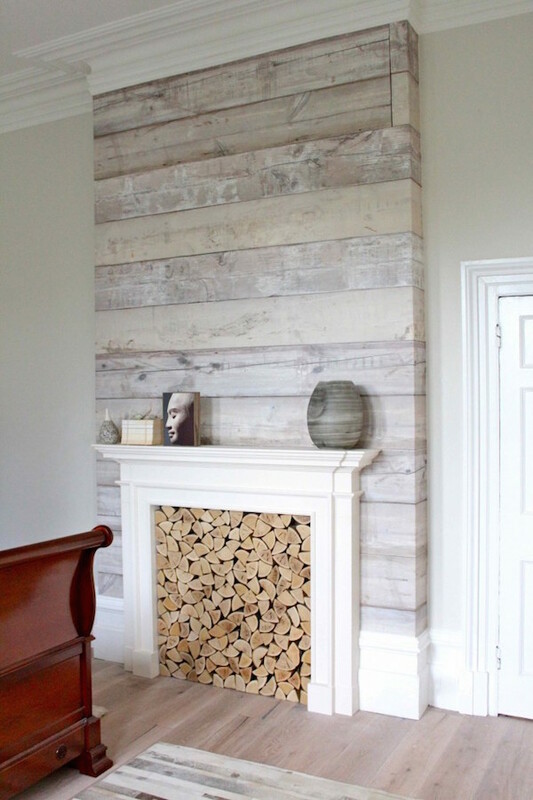 They used wallpaper to make this fireplace look like it has shiplap on it - genius idea!! 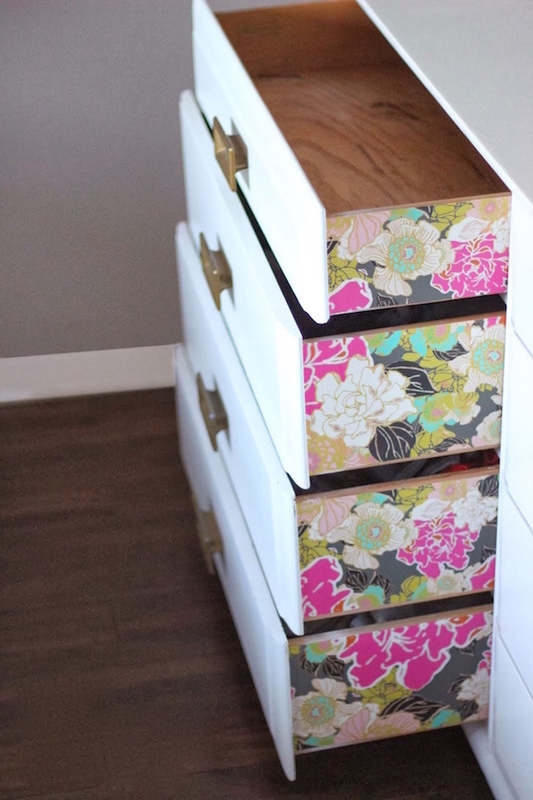 Add a fun pop to your drawers with colorful wallpaper! 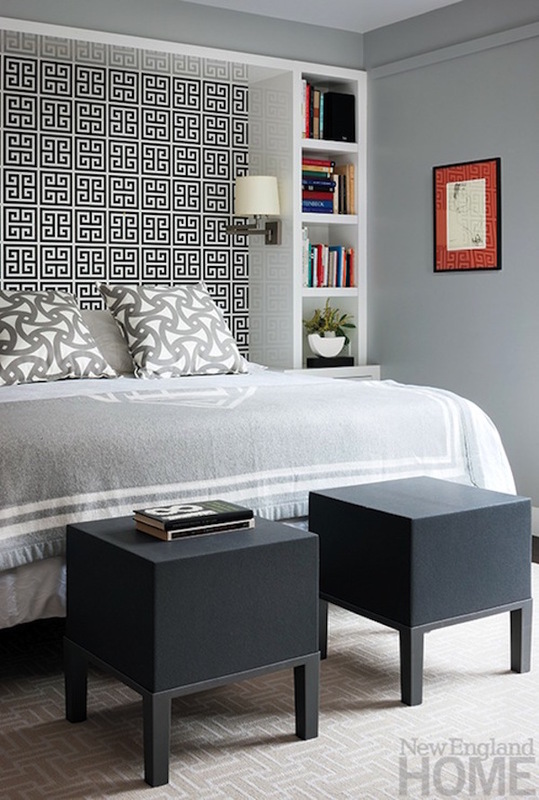 Greek key trim print can be quite busy, so having just one accent wall with this wallpaper makes a great focal point without having pattern overload. Get the character and warmth of a brick wall by using wallpaper. I find it so fascinating how real wallpaper looks these days! 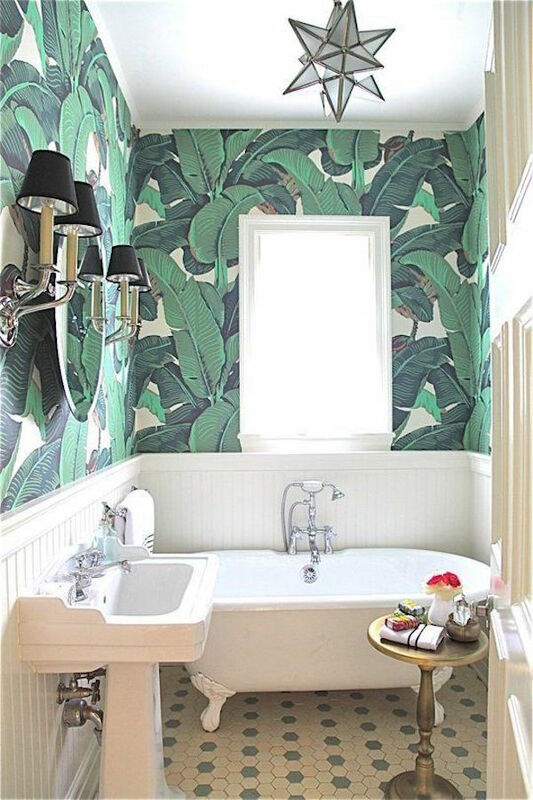 So what do you think, are you a fan of wallpaper? If so, head over to my Instagram for a chance to win your own roll from Milton and King!